In this article, you’ll learn how to record screencasts on your mobile device and then customize them for top social media platforms. 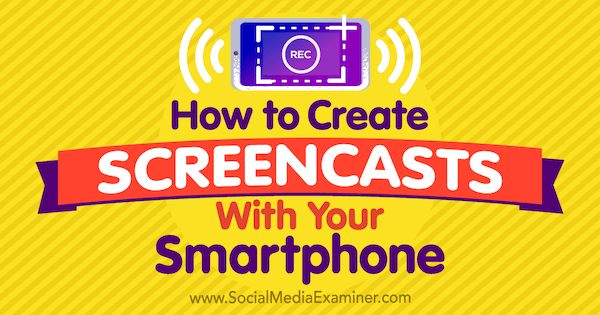 How to Create Screencasts With Your Smartphone by Tabitha Carro on Social Media Examiner. Show readers how to subscribe to a newsletter, podcast or content channel. Preview a digital lead magnet by scrolling through the PDF, landing page, or other type of content. Give an app tutorial or tip tailored to your target audience. For example, HubSpot shows viewers how to comment with a GIF using the Facebook app. Walk viewers through navigating mobile versions of course sites, membership sites, Facebook groups, new website designs, and so on. In this video, Shopify demonstrates how their service integrates with Facebook Messenger to allow people to browse and buy products. Create a quick video to share app features and updates. 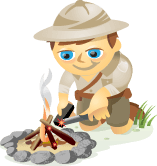 Share previews/demos of digital downloads for graphic designs, clip art, ebooks, etc. Create a GIF of your testimonial page on mobile and add it to a course/product landing page. Now let’s look at how to create and customize your own mobile screen recordings. On Android, open your favorite screen recording app. To get access to the screen recording feature on your iPhone or iPad, first make sure you’ve updated to iOS 11. Then go to Settings > Control Center > Customize Controls. Tap the green + sign beside Screen Recording to add this feature to the Control Center. Add the Screen Recording feature to the Control Center of your iOS device. Now you’re ready to start recording. On your iOS device, return to the home screen and swipe up to open the Control Center. Tip: Tap the Do Not Disturb icon (the one with the moon shape) to mute incoming notifications so they aren’t included in your recording. 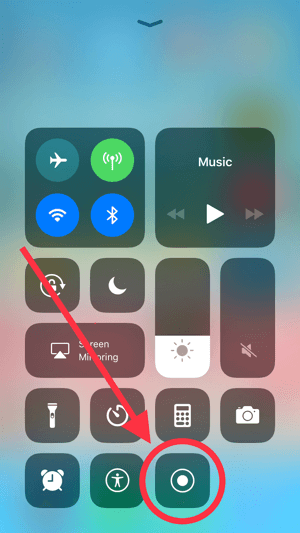 From the Control Center, you can just tap the record icon (shown below) to start recording. If you want to record yourself speaking, first do a hard press on the screen recording icon. 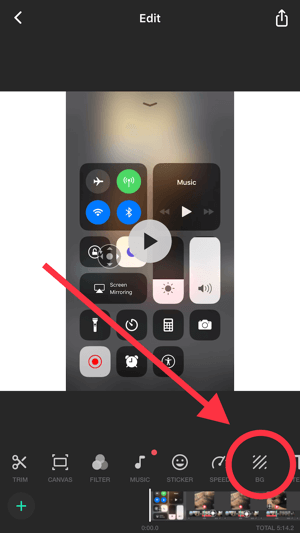 Tap the screen recording icon to start recording on your iOS device. In the pop-up, tap the option to turn the microphone on. This setting will remain in effect for future recordings until you turn it off again. Now tap Start Recording, and you’ll see a 3-second countdown for the recording to start. Once you toggle the Microphone Audio setting on, it will remain on for future recordings. Tip: Consider wearing your Apple earbuds or purchasing a smartphone lavalier microphone to improve the quality of the audio in your recording. 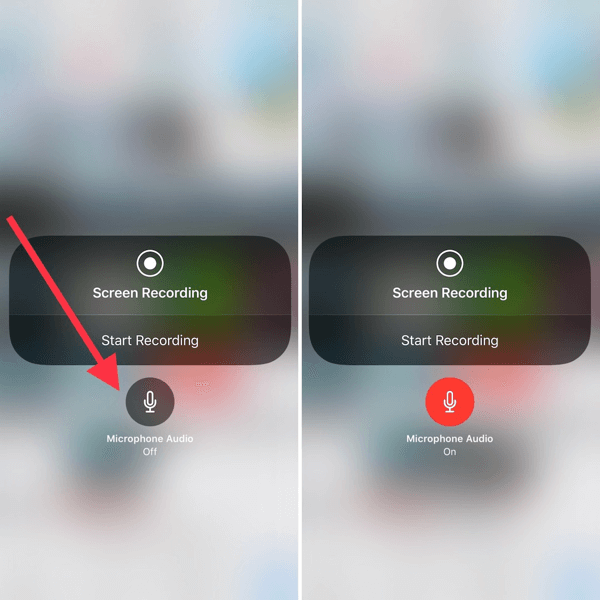 One feature not included with the iOS screen recording tool is the ability to illustrate your actions during the screencast. Although there are desktop programs that can do this, the Zoom Controller on your iOS device provides a simple workaround. This tool’s purpose is to zoom in on parts of your screen, but you can also use it to mimic gestures and provide clarity to your screencasts. To turn the Zoom Controller on, go to Settings > General > Accessibility > Zoom. Then toggle both the Zoom Controller and Show Controller options to on. Turn on the Zoom Controller to use it to mimic gestures in your iOS screencast. When you first turn the controller on, it will zoom in on your screen. Double-tap the controller to toggle it back to full-screen view. Tip: Consider adding captions to your video using a tool like Facebook’s caption generator or Rev. You’ll need to upload the video to your desktop to do this, but depending on how you plan to use your video, the extra effort may be worth it. Vertical screen recordings aren’t always the best fit for social media platforms. To customize your videos for specific aspect ratios (i.e. square, widescreen, etc. ), add a background with the InShot app. Inshot is also available for Android. When you open the app, tap Video to create a new project. 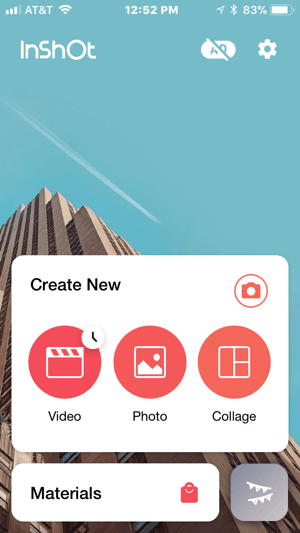 Create a new video project with the InShot app. Next, tap New and select your video from the camera roll. 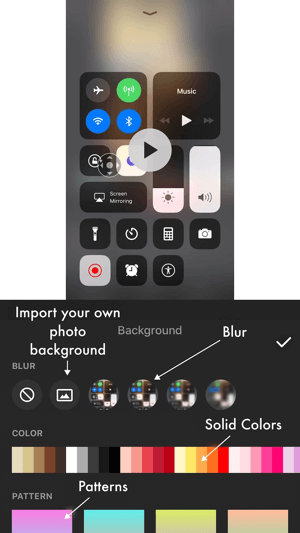 Your recording will automatically open with a blurred or white square background. To edit the background style, tap BG (background) below the video. The InShot background tool provides options for enhancing the look of your video. You can choose from a variety of blurred, solid, or patterned backgrounds. Choose a background color or pattern, or import an image from your camera roll. 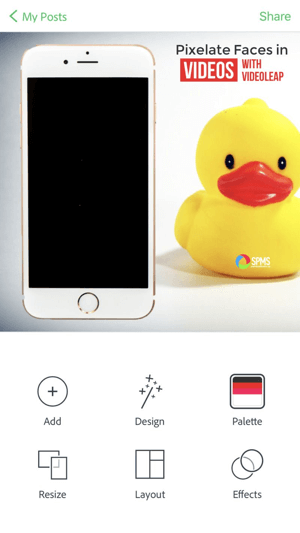 If you want to use a branded image for your background, as in the example below, transfer the picture to your device and tap the image icon to import your picture into your video project. Make sure the icon to the right of the trash can icon is selected so the background isn’t blurred. Import a branded image into the InShot app to use it as the background for your video project. Another option is to use a styled stock photo of a smartphone as the background and position your video on top of the phone. This tactic can improve the overall aesthetic of your video (as you can see in the example below) and it works best if the image has the smartphone level, not tilted. I’m SO excited about screen recording in the iOS 11 update! Have you tried it?? Here’s how! After you select your background, tap the checkmark icon to save your changes. To edit the aspect ratio of your video, tap Canvas and choose a sizing option. InShot offers aspect ratios that will fit different social media platforms. Choose different aspect ratios to repurpose your video for multiple social media platforms. 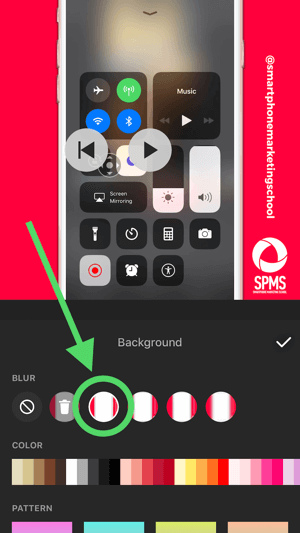 If you’re using a smartphone image as the background, use the zoom slider to decrease the size of your video as needed and then drag the video to position it over the smartphone, as shown below. Drag the slider to the left or right to change the size of your video in the InShot app. When you’re finished, tap the checkmark icon to save your changes. 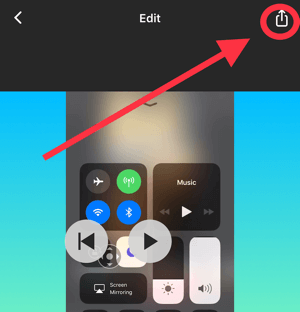 To export the video to your social media channels or save it to your camera roll, tap the upload button in the upper-right corner. Keep the InShot app open while it’s processing your video. Tip: Use a design app like Adobe Spark Post to add text to your background image. Add text to a background image with Adobe Spark Post. 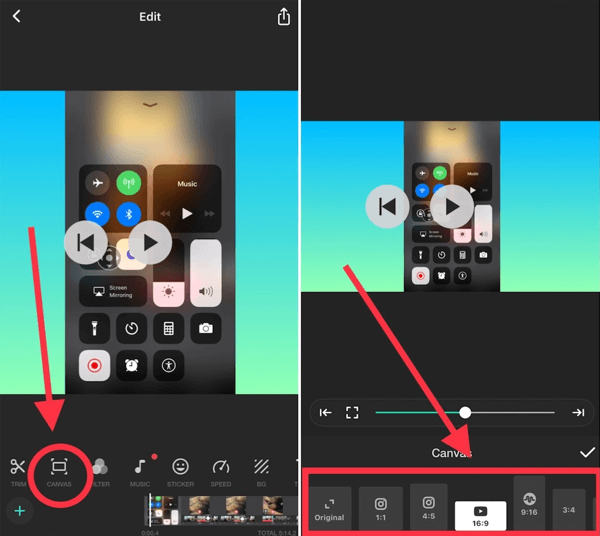 After you create your screencast, you can use an app like CutStory to split it into 15-second segments for use in your Instagram, Facebook, or Snapchat stories. Similar apps are available for Android devices; use your favorite. When you open CutStory, tap the camera roll icon and select your video. Then tap the Instagram (15s) icon to divide your video into 15-second segments and save them to the camera roll. 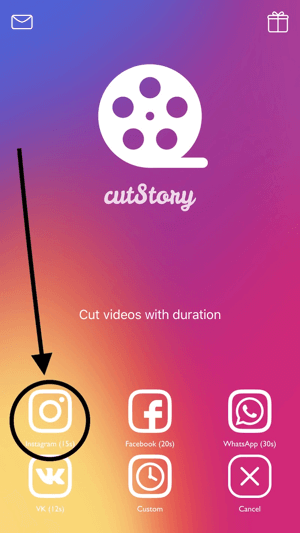 CutStory will cut your video into 15-second increments and save them to your camera roll. The ability to easily record a screencast on your smartphone adds a new dimension to your social media content. Not only can screencasts increase the value of your content, they can also communicate information about online sites, products, and resources. With simple third-party apps, you can add a branded, visual edge to your screen recordings that keeps your audience engaged. What do you think? Have you recorded screencasts on your smartphone? Do you have other ideas for using mobile screen recordings in your social media marketing? Share your thoughts in the comments!